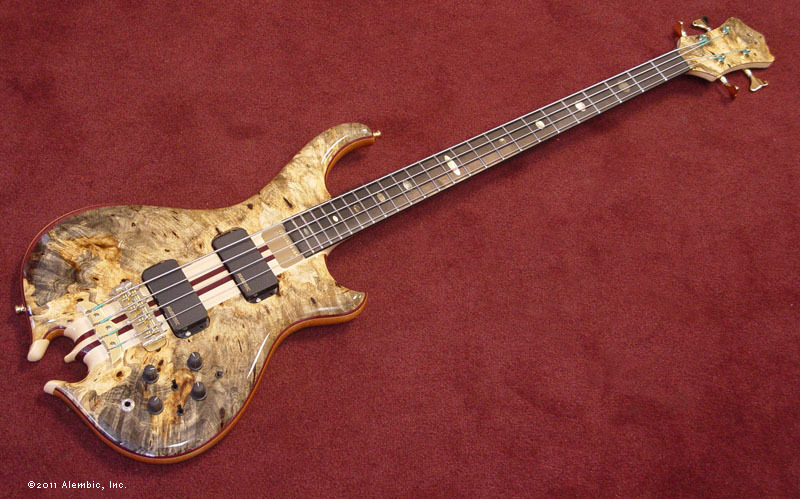 Such a gorgeous Alembic bass! 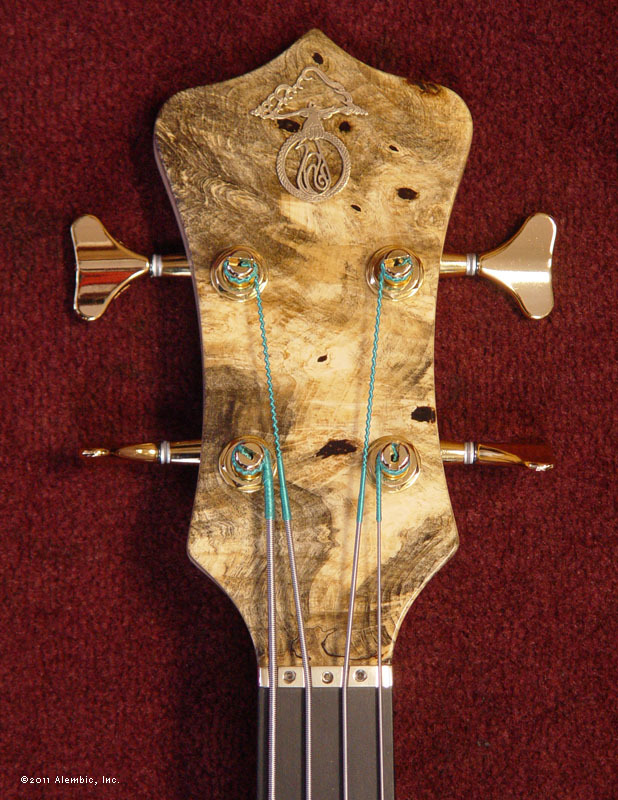 Buckeye Burl top looks like it's radiating from the neck. 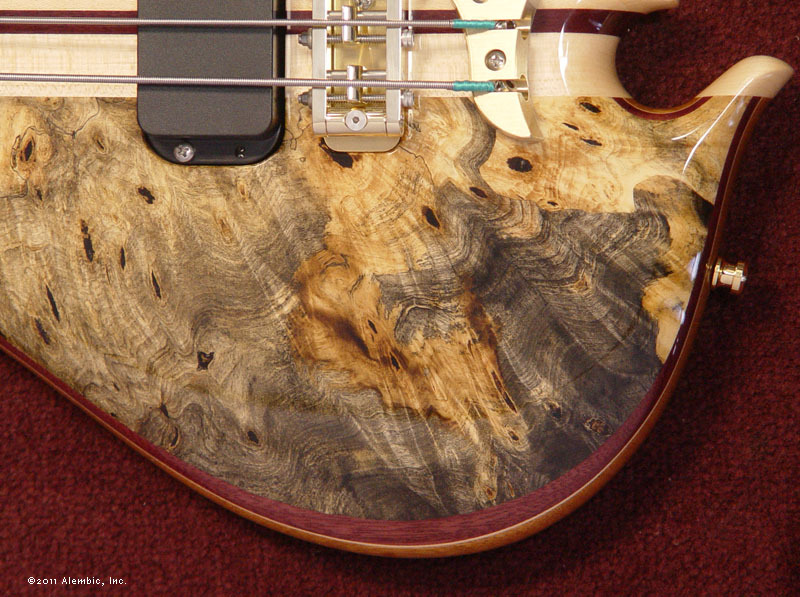 Burl figure, flame figure, dark fungal stain this bass has it all. A few upgrades are the icing on the cake: Purpleheart neck laminates, black Tahitian mother of pearl inlays and blue side LED position markers. 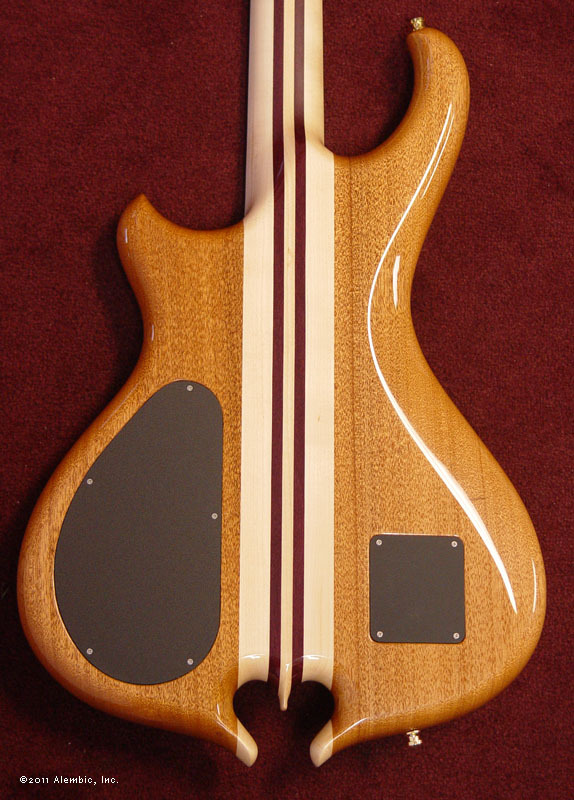 Of course, tone has made its home at Alembic, and this bass is no exception. With a separate low-pass filter frequency control and Q switch for each pickup, you have a huge range of control over your sound. 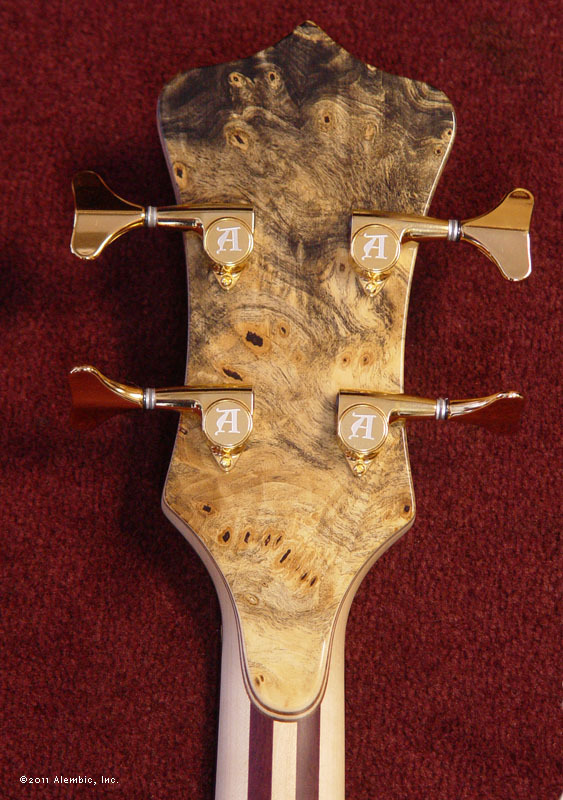 If you have never played an Alembic bass before, it may surprise you that turning the knobs actually does something.